Friday Hill Dressage is home to the highest quality of dressage training, coaching and equine care. With over two decades of experience at the top level of equine sport, Tom and Ellen Dvorak have developed Friday Hill Dressage into a centre of excellence for all levels of riders, dressage horses and owners. Known as one of Canada's top international dressage riders, Tom Dvorak has developed a number of horses through to the Grand Prix level and represented Canada at Pan American Games, World Cups and World Championships. As a coach, Tom has assisted many FEI Junior, Young Rider, amateur and professional riders in achieving their training and competitive goals. 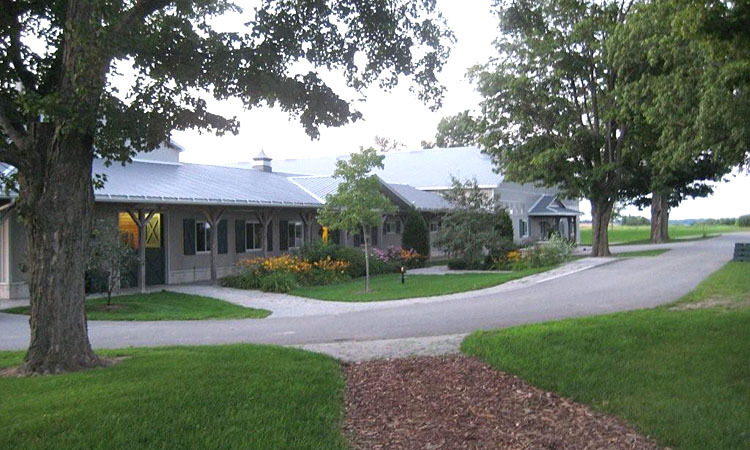 Friday Hill Dressage offers year round coaching, training and equine care services at their primary location in Hillsburgh, Ontario and in Wellington, Florida during the winter months. As a well-received and seasoned clinician, Tom also enjoys giving dressage clinics across the country.